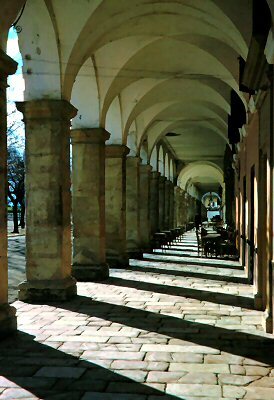 Here are the arches of the Liston that was built during the Napoleonic era. Now home to cafès and shops it is the meeting place for Corfiots. Enjoy a coffee, ouzo and mezè or a chat. Past and present mingle, adding a special touch to your holiday.